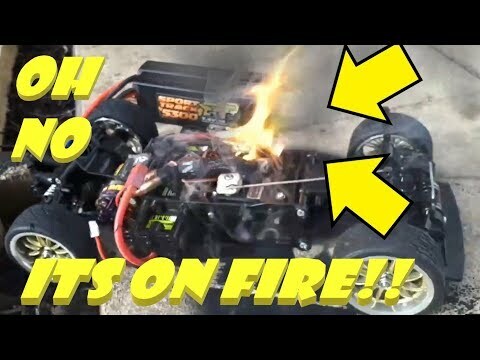 Had a mess about with an old rear wheel drive tamiya m01"Not 03" that's been sitting on the shelf for some time, tried running it on an old brushed esc "didn't go as planned lol" but it looked cool when it went up in flames next step is to put a big brushless system in there and some weight over the rear wheels, need to get those tyres smoking!! next after that is to setup a front brake over the front wheels :) please rate comment and subscribe for more. RC Car Wrap FAIL - 2nd attempt!! My Dirftomaniacs back flip challange attempt! RC FLYING WING. SECOND ATTEMPT.25 KM/H WINDS.